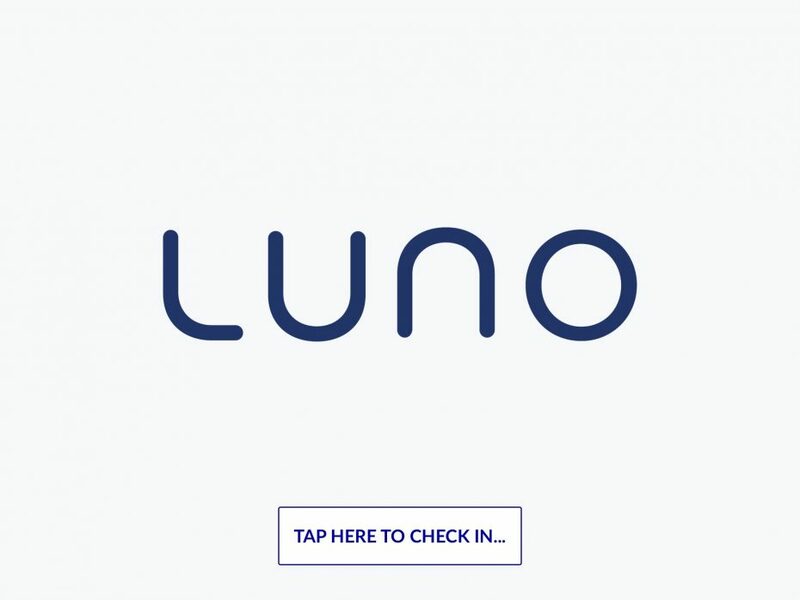 The future of currency is changing, and Luno is at the forefront of that transformation. Luno launched in 2013 as a way for people to safely and easily buy, sell, store, and trade Bitcoin, a form of digital currency that doesn’t degrade and is impossible to counterfeit. Bitcoin is available to anyone, anywhere, even those without access to formal banking infrastructure and provides an opportunity for everyone to participate in the global economy. 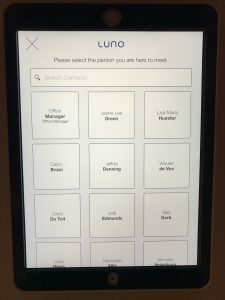 Luno currently focuses on emerging markets, where “it’s a lot easier to acquire Bitcoin than it is to acquire a credit card,” says Carel van Wyk, Luno’s co-founder. Because of the rapid rise of general interest in Bitcoin, Luno has been steadily growing. Since the company’s founding, its team has expanded to 42 employees, with offices across the globe. The company is headquartered in Singapore, with Van Wyk and the engineering team working out of the office in Cape Town, South Africa. 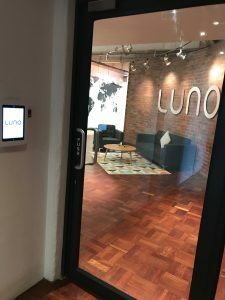 If you were to visit the Luno office, the first thing you’d probably notice is that it was like walking into a spaceship. This theme fits with the company’s personality in two ways. First, the name — Luno — means “moon” in Esperanto. Also, because they’re a future-focused company themselves, they’ve adopted a future-focused philosophy across all of their operations. This philosophy led van Wyk to search for an automated way to manage visitors. “We wanted to go with a theme of new technology and innovation,” he says. 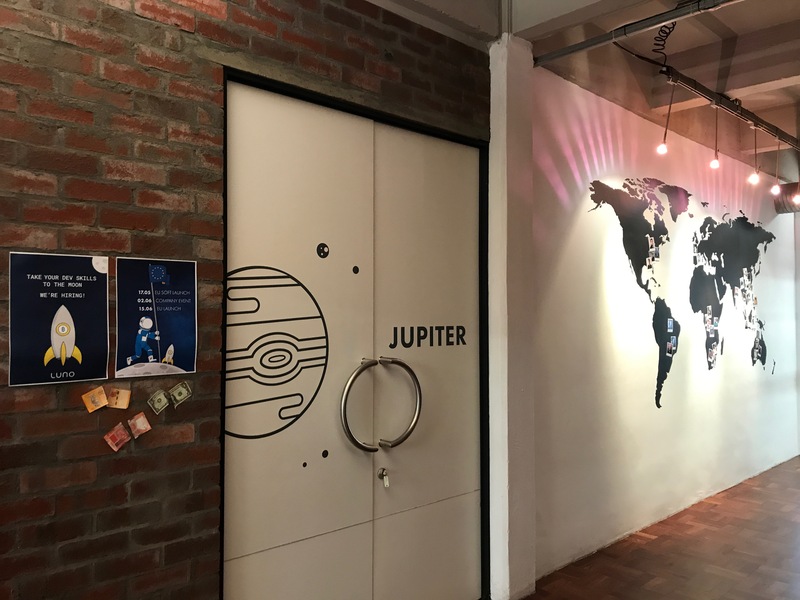 “And we wanted a high-tech way for visitors to announce themselves when they arrived at our office.” Another requirement? A solution that didn’t disturb the team. “If someone rings the doorbell, it disturbs everybody,” Wyk explained. “We have a lot of engineers, and they require silence when they’re working.” After looking at a handful of options, van Wyk chose The Receptionist for iPad. What made the technology stand out to him was its ease-of-use, meaning that the system is so intuitive that it doesn’t require a real, live receptionist to help visitors through the process. In fact, after a short trial period, van Wyk decided they could eliminate the doorbell altogether. He put The Receptionist for iPad outside the main office, so checking in is the very first thing visitors do, even before they walk in the door. 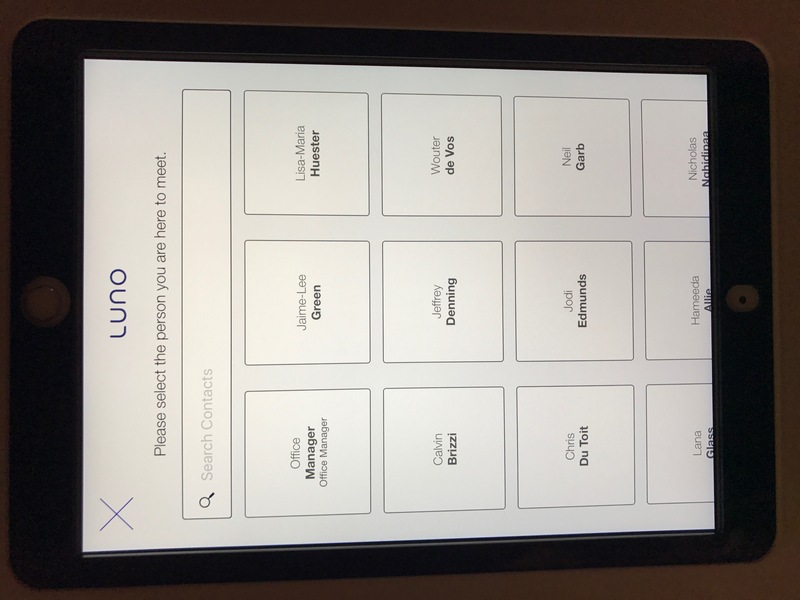 Luno also takes advantage of another differentiating feature of The Receptionist for iPad: its customizability. Rather than using the standard button types (e.g., Check-in, Deliveries), van Wyk customized the buttons so that each button represents a different employee. Visitors simply select the employee they’re there to see, and that employee receives a notification that a visitor has arrived. 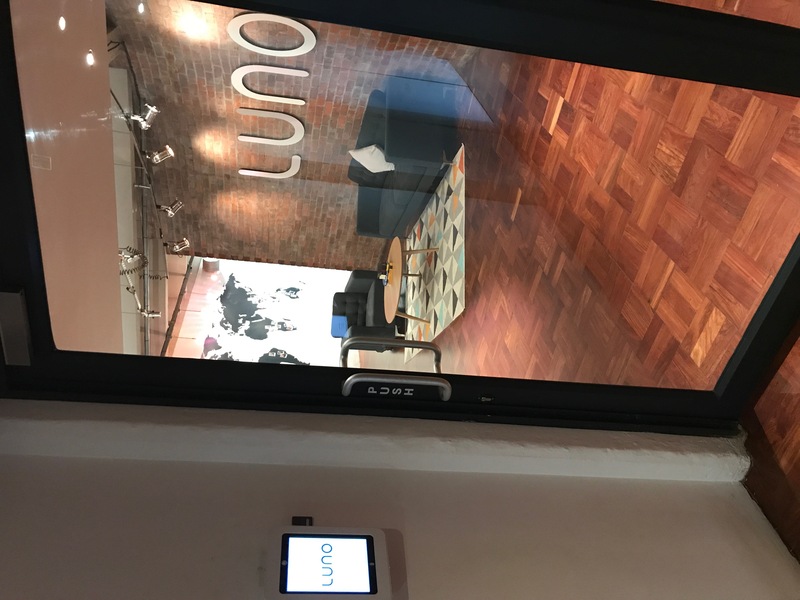 As Bitcoin continues to gain popularity, Luno’s future remains bright. We’re honored to play a role in helping their office run smoothly. To see how The Receptionist for iPad can benefit your business, sign up for a free 14-day trial. About Luno Luno’s vision is to empower billions of people by bringing Bitcoin to everyone, everywhere. 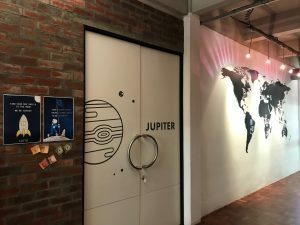 They are one of the world’s leading digital currency companies with a team of over 40 technology and finance experts, operating across several countries and continents. Their products and services make it safe and easy for people and businesses to store, buy, use and learn about digital currencies like Bitcoin.